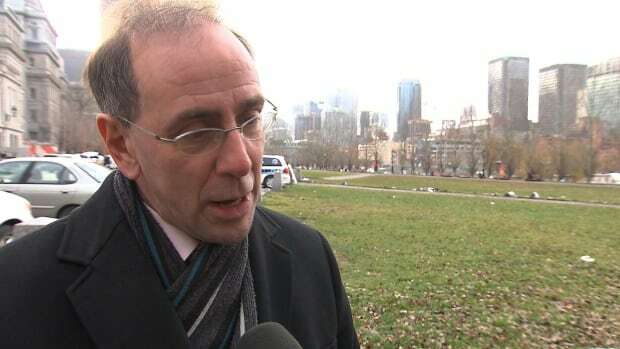 Borough mayor demands Montreal police install security cameras after east-end … Montreal police told CBC’s French-language service, Radio-Canada, they are … Mallette said that officers will continue to patrol the targeted .. 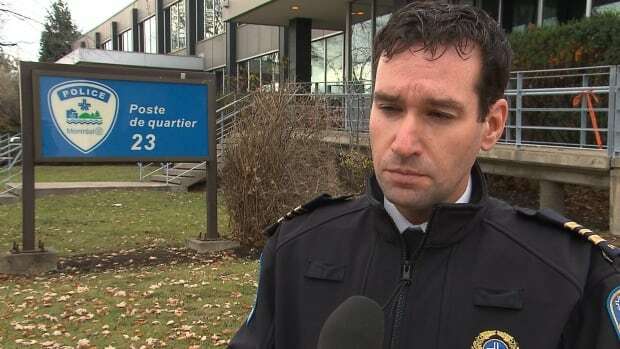 The mayor of Mercier–Hochelaga-Maisonneuve, which has been struck by at least six waves of vandalism targeting local businesses in the last year, says it’s time for police to install security cameras to catch perpetrators in the act. Réal Ménard says there have been at least 20 acts of vandalism committed along Ontario Street East and Ste-Catherine Street East, including five stores targeted overnight on Sunday. “The Montreal police need to lay charges,” said Ménard. Montreal police told CBC’s French-language service, Radio-Canada, they are studying that option. They recently installed a camera at Beaudry Metro, located further west in the Gay Village, following reports of assaults in that area. Police say anti-gentrification concerns may have been a motive in the attack. The traditionally low-income neighbourhood has seen an influx of new condos and trendy shops pop up in recent years. Montreal police Cmdr. Martial Mallette, the head of the local station, said investigators meet with eyewitnesses and go over crime scenes after every incident. Still, he said, it’s been difficult to make an arrest. “They get together fast, they target businesses, they commit the act, and they’re gone in the minutes that follow,” said Mallette, adding much of the time the vandals have their face covered. That’s why it’s important for eyewitnesses to come forward if they see anything, he said. Mallette said that officers will continue to patrol the targeted neighbourhoods on foot and will be speaking with merchants to make sure they know police are there. 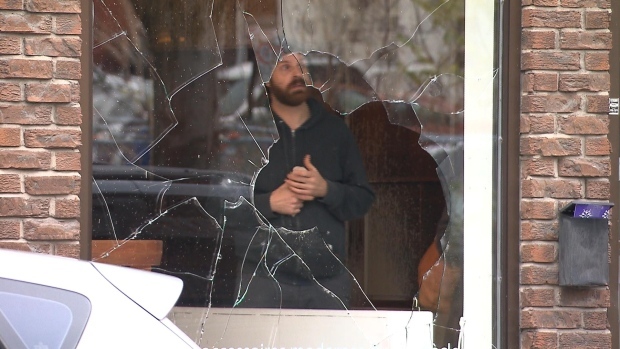 Some merchants in the area are feeling extremely frustrated by the vandalism, said Pierre Lessard-Blais, the president of the merchants association in Hochelaga-Maisonneuve. “It has a direct effect on your payroll, on your rent,” he said. Lessard-Blais, who owns L’Espace public, a neighbourhood brew pub on Ontario, said he has not yet been the target of vandals. He believes that’s because there’s a Tim Hortons next door, and it’s open 24 hours a day. He said he would support the idea of installing security cameras to catch the vandals. 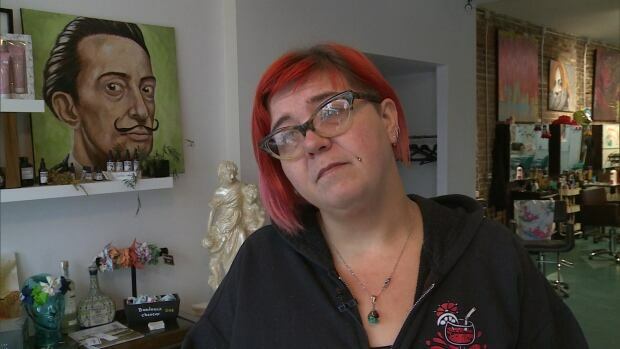 Some business owners believe they were targeted because they are seen as gentrifying the neighbourhood. Julie Duquette, owner of La Cornette Touffue,, said the vandals are only hurting small, local merchants. “We don’t do haircuts with golden scissors,” said Duquette. Duquette lives in Hochelaga-Maisonneuve and said the area has become vibrant and family friendly because of the new businesses that have opened up in the last few years. In response to the latest attacks, the merchants association is launching a campaign to support all businesses that have been targeted by vandals. Any money raised will go back to businesses to offset the cost of repairs and cleaning, Lessard-Blais said.